Baile an Chollaigh derived its name from Robert Coll , Knight one time owner of Ballincollig Castle. This Castle is the oldest Building in Ballincollig and its History is mainly associated with the Barretts who bought it from Coll. However Ballincollig Village was founded much later and owes its origins to the growth of the Gunpowder Mills and the Army Barracks. Charles Henry Leslie began the small scale production of Gun Powder on his own land along the South Bank of the river Lee. His success and the advent of War between Britain and France led to the purchase of the Mills by the British Board of Ordinance. The Board enlarged Ballincollig Gunpowder Mills considerably including the Construction of Houses for the workers called Waltham Abbey Row ( where the club meeting rooms are today ). Additionally a Barracks was built to guard the Mills. The Tobins from Liverpool bought the by now disused Mills and lived at Oriel House (Present Day Hotel ). By the middle of the Century over 500 people worked the Mills. By this time the Village had grown to a sizeable town of about 2,500 and was served by the Muskerry Tram. The Great Famine brought huge emigration and the unorganised local sport of Hurling suffered. At the same time it was frowned upon by the Landlords who saw it as against them and they attempted to suppress the game. Michael Cusack formed a single Body to organise and save the game and put it on a firm footing. The Gaelic Athletic Association for the preservation and cultivation of National Pastimes was formed. First organised games. Ballincollig was represented by Carrigrohane in the 21 a side competition. Internal strife with the formation of several boards with Ballincollig Siding with the Fr O Connor Board. Ballincollig entered the championship as Ballincollig Gladstonians. First recorded major victory was against Barrs in the Bride Valley Tournament. The club entered in Senior and Junior Hurling. The Seniors lost to Redmonds while Juniors lost to Blackrock in a game played at Turners Cross. Club also recorded its first Senior victory when they defeated United Nationals. 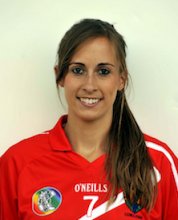 Two club players were selected to play with Cork represented by Redmonds. John (Flocker) ONeill and Tim Hallihan whose medals are still on display in the Clubhouse. Ballincollig did not affiliate with the County Board as the town declined with the closure of Gunpowder Mills. The black powder produced for over 100 years could no longer compete with the new invention of Dynamite.